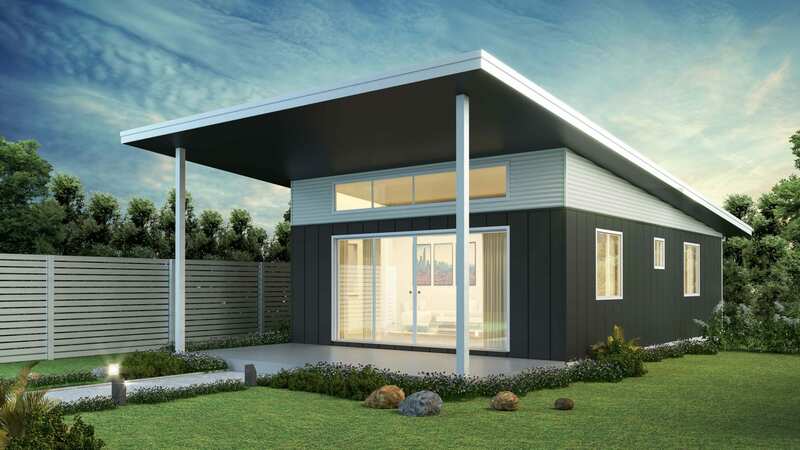 The Newington is a designer 60m² granny flat which is perfect for long and narrow backyards. 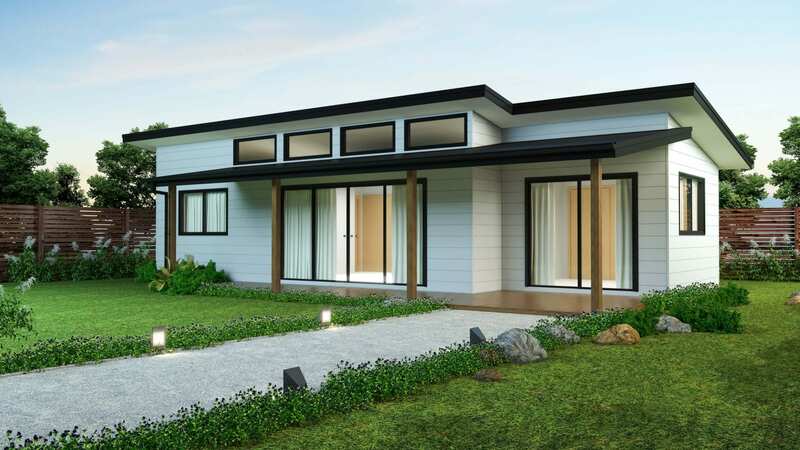 It features a contemporary skillion roof and has raked ceilings throughout, creating a wonderful feeling of space. This is further enhanced by the inclusion of highlight windows in the living area which allow natural light to fill the space. 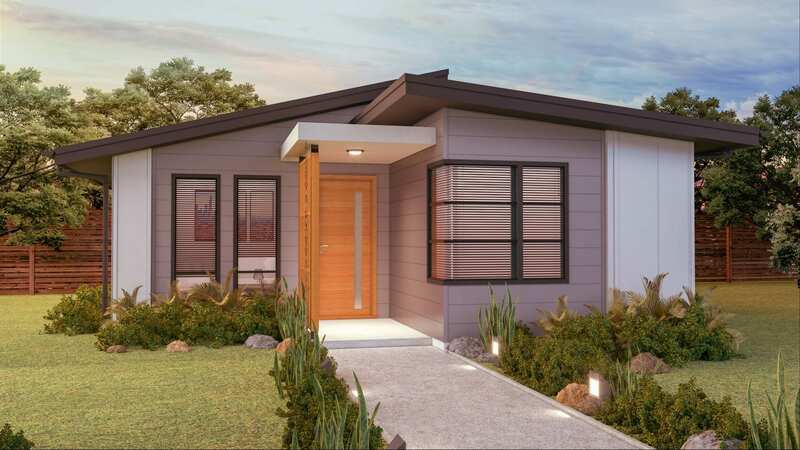 Another unique design feature of the Newington is that the two bedrooms are located at opposite ends of the granny flat, creating privacy for the occupants. 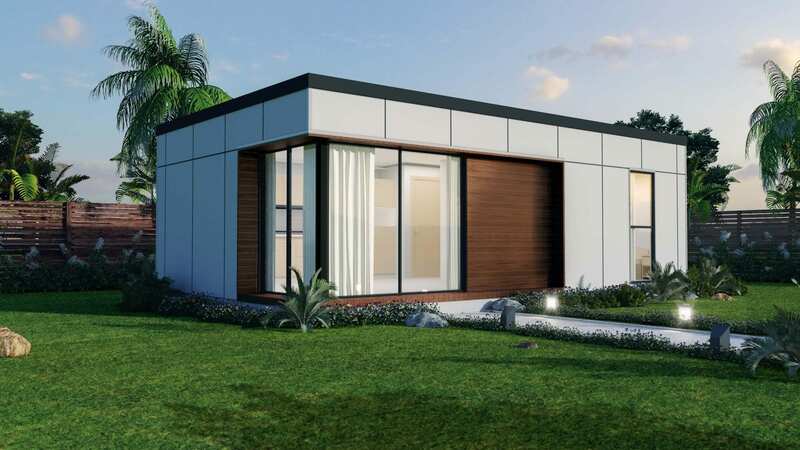 The living space, including a galley style kitchen, is situated between the bedrooms, and can open onto a patio to create the perfect mix of indoor and outdoor living.